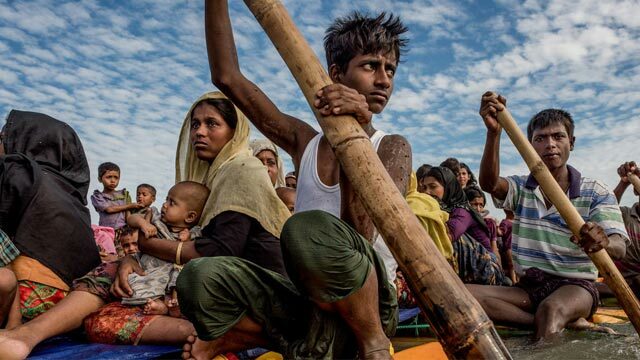 Dhaka, Aug 18 (Just News): Over 24,000 Rohingyas were murdered and 18,000 Rohingya women and girls raped during Myanmar's crackdown in Rakhine State since August last year, says a research report. The report says over 41,192 Rohingyas suffered bullet wounds, over 34,436 were thrown into fire and some 114,872 beaten up by Myanmar forces. The ASA Philippines Foundation, Ontario International Development Agency, Institution of Diploma Engineers Bangladesh (IDEB), Education for Skill Development (ESD), and Film for Peace Foundation (F4P) extended support for the research published by Ontario International Development Agency. A group of Rohingyas who fled to Bangladesh in between August 2017 and January 2018 were interviewed. The research book was presented at the International Conference on Sustainable Development 2018 at the UK's Queens College, Oxford University on Wednesday. It was organised by the Ontario International Development Agency of Canada.